A rare opportunity to customize a new home that is currently under construction in West L.A. Buyers who act quickly still have time to choose interior design elements like the flooring, cabinets, counters, appliances, tile, and paint, delivering a semi-custom home in a fraction of the time it would take to build your own. 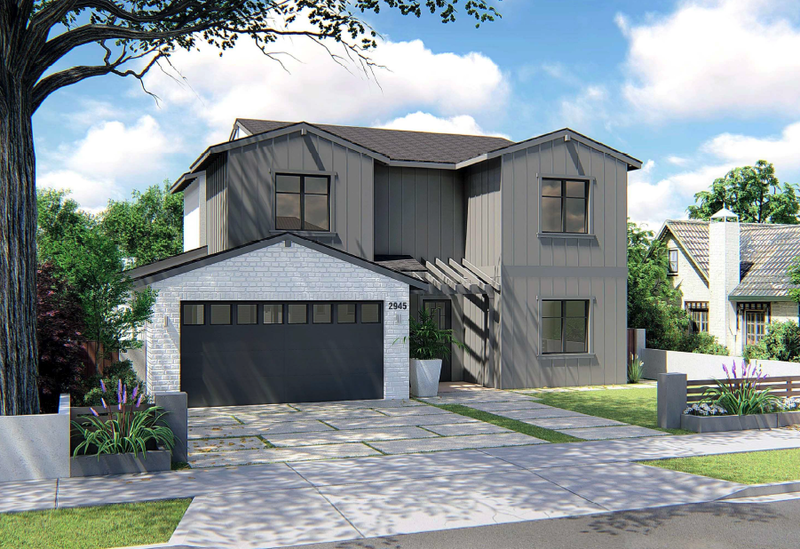 2945 Midvale is a unique Modern Farmhouse designed for indoor/outdoor living, distinguished on the exterior by an elegant grey paint paired with a stone facade on the garage. Inside will be 4 bedrooms and 4.5 baths across 3,300 square feet with an open floor plan crafted to the highest standards. The home will be fully wired for surround sound, home automation, and high speed internet. Located in wonderful Westside Village and the coveted Clover Elementary district, it's a short stroll to the school, Trader Joe’s, and the Westwood Expo Line Station. Easy freeway access makes for quick drives to the beach or Downtown. Plans available to review upon request. The developer has extensive experience helping buyers customize his properties, making the process as easy and fun as possible. To discuss further, please call Allen Blankenship at (323) 682-0371.